Is there a secret war going on, between “succubus” and others given them a bad reputation? This is something I’ve been thinking about, for some time now. That’s because of things some other bloggers mentioned. 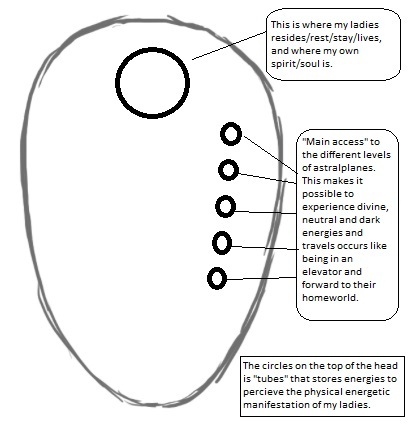 I have not read about it just once, or twice, but I even had a private conversation about this, were entities like our ladies is at war with shapeshifters/imposters pretending to be something they aren’t. Could there be something to that, or is it just a missinterpretation of dreams/astral projection? What I do know – through my own experiences and my interpretation of it – is that my wives is very precautious and protective when they are planning something big for advancement in our relationship. That means using their knowledge in magic, using salt and sigills to keep uninvited entities or spirits away. A reason for protection – especially in the period of bonding – is because their energies was both new for me, and for a first timer, very strong in their presence towards me. That introduction and bonding-period can cause unwanted attention from other beings in their own homeworld. From their point of view, it’s understandable that curiosity plays a role in this. They have friends and families, too, that cares for them. There seems to be others out there, that might be curious in a level that doesn’t match the innocent way of curiosity. I felt how they spread salt on my head and body, made protection sigills on my body and used magic to keep unwanted attention at bay. When it comes to protection and healing, my wives is on the top of the line. Is there a war going on? I don’t really know, but it would be understandable if it was. Their reputation has been at stake for centuries with “reports” of succubus/incubus doing harm on human males and females. Misinterpretation and fear can be one factor, false legends and myths and religious indoctrination. Good turns bad, making false statements about them. Then there is the possible imposters/shapeshifters, pretending to be what they are not, stealing energy without giving some of it back. Would you consider a false and bad reputation as something that withheld your people to the outside world? Is it an act of war, by those who started it? Does the imposters/shapeshifters take advantage of the false myths and legends about “succubus/incubus”?